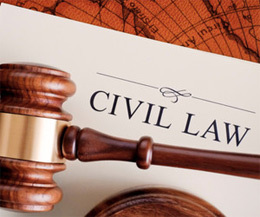 Civil litigation is a legal dispute between two or more parties where someone files a lawsuit to seek money damages or specific performance of an obligation rather than criminal sanctions. Thomas Boyers has extensive (and successful) experience both in criminal and civil litigation. As a lawyer who practices litigation, Tom is known as a .litigator. or .trial lawyer.. He represents parties in trials, hearings, arbitrations and mediations before administrative agencies, and federal, state and local courts. Tom has successfully negotiated multi-million dollar settlements, has won six-figure judgments, and has successfully represented more clients than he can count in Tennessee State Courts, including both General Sessions and Circuit Courts, as well as Federal Court here in Tennessee. You can find out more about Tom and the legacy of the Boyers family here. Most lawsuits don’t pass through each stage of litigation. Most lawsuits are settled prior to trial and most cases that reach a trial verdict are not appealed. The time it takes to take a lawsuit through all the stages can range from several months to several years. Complex civil litigation often takes years to pass from pre-suit investigation through trial/settlement. Discovery is the longest and most labor-intensive stage of civil litigation. Contrary to the image portrayed by television, civil litigators spend little time in trial; most time is devoted to the discovery stage of litigation. Tom is an expert at every stage of litigation, as is proven by his multi-million dollar settlements and six-figure jury awards. Just as importantly, Tom realizes that behind each case is a person, a client who experiencing the litigation along with him. That’s why Tom is very careful to involve his clients in every step of the process. He feels that together, you and he are a team working together. When you need a lawyer, you need one who is experienced, knowledgeable, caring and compassionate, and capable to bring you the best results possible. Thomas Boyers V is that lawyer. Call him today at (615) 206-8662 or contact him here to discuss your case. You’ll be glad you did.